One of the casualties of the mortgage meltdown of the last decade was that most no income verification loans no longer were offered. While getting a no income verification mortgage and home loan for the self-employed today is still challenging, there are more options available than a few years ago. Rumors around the lending circles are swirling, as many believe guidelines will be changed to accommodate more stated income equity loan programs and no verification home loans for self-employed borrowers. What Are No Income Verification Loans? Before the financial crisis, there were many mortgage lenders who issued ‘no income verification’ and ‘no documentation’ loans that were not based upon one’s income. The main qualifier for a no income verification mortgage is your credit history. The reality is that no income or a no-doc mortgage have always been essential for self-employed and small business owners. If you were able to show a steady history of bill and credit account payments, you could often get a loan without income verification. This type of loan was very popular for people who were self-employed and operated on a cash only basis. These types of workers do not receive regular paychecks, nor do they have W-2’s from a permanent employer. The problem with these self-employed loans was that many of the homeowners lost their work or jobs, and they defaulted on the loans. Home values also plunged, and many banks were dealing with a massive number of defaults. Today, there are fewer limited or no doc loans such as these, but you may be able to find a no income verification mortgage that requires limited documentation if you have a credit score of at least 700. In such a case, you will have to pay an interest rate that is at least 2-3 points above current rates. Most ‘no income verification’ loans today are still obtained by borrowers who do not have a regular job, and get their income as fully independent contractors. With the surge in small business owners across the country, the demand for a stated income HELOC loan with no income documentation is soaring. If you are one of the more than nine million self-employed in the US today who makes a decent income, you may be able to qualify for a home loan with limited documentation of your income. 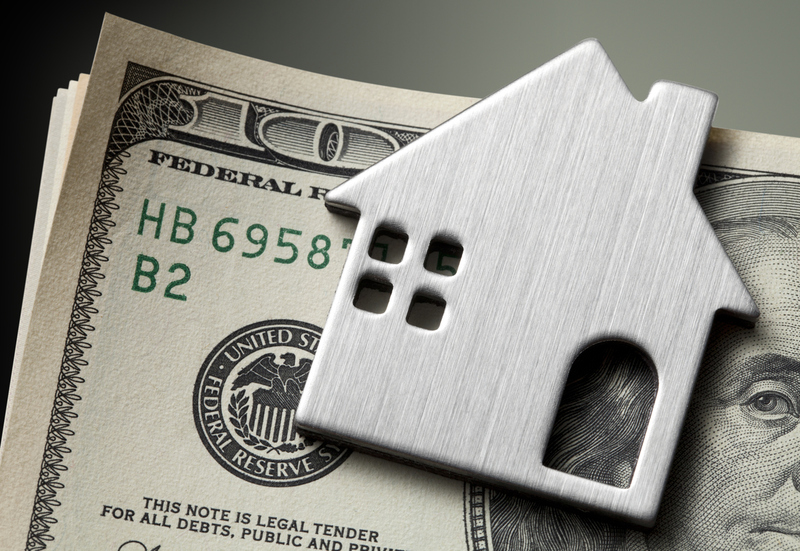 However, in the year or two leading up to getting a no income mortgage, you may need to make some adjustments in how you are reporting your income to the federal government. Many self-employed people take a lot of business deductions that results in them having little taxable income at the end of the year. The problem is that you are reporting little income on your tax return. That is one of the only ways that lenders today will be able to get an idea of what your income is. Most lending programs will require that you show at least one or two years of tax returns. You should amend your tax returns for the last two years to show that you have a decent income so you can get a mortgage, even if you end up paying more in taxes. No income loan programs are not always available, so consider documenting your income with tax returns or bank statement loans. 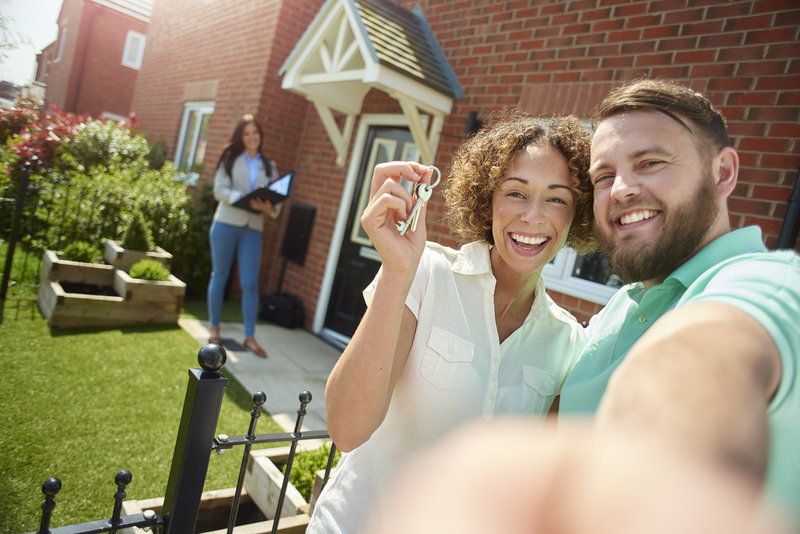 As the housing market has improved since 2012, some high risk mortgage lenders have started to relax their rules so that more self-employed people can get qualified for no income loans. These lenders do not look for pay stubs, W-2s or even tax returns to qualify your application. Some of these lenders are smaller banks and will base your application upon your credit score and a stable history of working. Also, you may need to put more than 20% down on your home. There is still a big demand for no income check home equity loans as small business owners often need quick access to cash. No income home equity loans and equity lines of credit are an easy way for self-employed borrowers to get access to cash without having to dip into personal savings or paying super high interest rates from unsecured loans. Some of these lenders are now qualifying the buyer by an analysis of their bank statements rather than tax returns. Some financial experts claim that a bank statement analysis for the last two years is a more reliable way of gauging how likely you are to pay back the no income loan. These lenders may ask that you provide at least a year’s worth of bank statements so that they can do their cash flow analysis of your finances. There are usually a few subprime lenders that offer bank statement loan programs for home buyers and people seeking an alternative refinance program. Some lenders may still verify your employment and could require you to still provide tax returns, however. Some lenders may also require you to provide a letter from your CPA that states exactly what your income was for a certain period if you are seeking low interest home loans for self-employed people. Read more about how to get a stated-income mortgage. If you are a self-employed borrower and you want to get a no income verification or stated income loan, financial experts advise that you spend more time getting ready to get your home loan. The easiest way to prepare is to write off fewer of your expenses in the two years before you apply. It also is smart to clean up your banking so that your business does not in any way commingle with your personal finances. For instance, you should pay for a PC for your business with a business credit card and not a personal one. Some stated income lenders may decide to not count the debt against your personal DTI because it is the property of the business. If you are still struggling to qualify for a no doc home loan, you also can get a co-signer on your loan so that you do not have any problem qualifying. Otherwise, you may want to wait until more home loans for self-employed borrowers are available that can be based just upon your cash flow that is shown on your bank statements. Stated Income Loans are a great way for Self-Employed borrowers and Independent Contractors to Obtain Quick Cash. People who bought a home during the boom years a decade ago probably heard a lot about ‘stated income’ mortgages. These mortgages often were given to those who had cash-only businesses. The most common users of stated income loans were the self-employed and independent contractors. Even though the borrowers had little documentation of income, they could get mortgages with low rates. However, these kinds of loans were risk for lenders. Part of the reason for the mortgage meltdown was many stated income and ‘no doc’ mortgages went bad. Most of these types of loans disappeared as they were too risky. However, the housing market has improved greatly in the last few years, and more mortgage companies are again offering versions of a stated income loan for self-employed borrowers. You will find however that most mortgage companies only do what is called ‘qualified mortgages.’ These are standard mortgages that people qualify for with full documentation, and they can be sold to real estate investors in mortgage-backed securities. But not everyone can qualify for a qualified mortgage, or QM. So, there are some mortgage lenders outside of the banking industry that offer types of stated income loans to certain types of borrowers. These companies can offer some buyers stated income loans that do not require the borrower to prove their income with tax returns. These may be called either alternative documentation loans or portfolio loans. You may not have income for tax purposes on your tax returns, but to qualify for a stated income-type loan, you do have to show some proof on paper that you have enough steady income to pay the loan. It’s no secret that bank statement loans for self-employed home buyers are soaring in popularity because the minimize the risks for banks as the bank statements show the borrower’s ability to repay the mortgage. These alternative lenders will want to see several months of bank statements that indicate sufficient positive cash flow to pay the mortgage. Some lenders may want to see 12 months of bank statements. In 2018 we expect to see more attractive bank statement loans with all of the self-employed borrowers looking to maximize low mortgage rates and aggressive loan programs from brokers, lenders and banks. It seems like there are more non-traditional mortgage programs being announced every day in 2018. You also will need to have a profit & loss statement that reflects what your bank statements state regarding your revenue. Because you are not qualifying for your loan with tax returns, the lender really needs to be careful that you have sufficient monthly income to pay the home loan for self-employed. It is helpful to see what all your credit card balances are. Lenders will review your mortgage application to see how much of your gross monthly income is being used to repay debt. A major part of this for most people is credit card balances. Lenders look more carefully at people who are using a lot of their current credit lines. They probably will not offer you the best interest rates if you are carrying a lot of debt. Many experts recommend having credit card balances that are 50% or even 30% less than your maximum credit line. You should review your credit report and target those credit lines with a high utilization first. Once you start to pay them down, you will find that your score will rise dramatically. The maximum loan to value is no more than 75%, so you will need to put more than 20% down to qualify for the no income verification mortgage. To put down less money, you have to have full documentation of your income, as it is too risky for the lender with limited income documentation. With more risk for the lenders comes a higher interest rate. You can expect to pay at least 1% more in interest on a stated income mortgage. Also, many of these self-employed loans have a five year variable interest rate. So, it is possible that the payment on the loan could increase in the future. If you are interested in a state income mortgage, you will need to be sure that you are not mixing your personal funds with your business income and expenses. It is a smart move to get a business credit card and use it to buy anything for the business. Some lenders will not count business debt against your DTI ratio because the equipment is part of your business. Finding a lender that specializes in self-employed loans is very important and could save you a lot of time and money. Also, you should try to buy a house when your income is fairly level for two years. Lenders understand that business can hit peaks and valleys, but most self-employed home loan lenders will not be comforted if you made 80% income last year than this year. It is true that it is harder to qualify for a stated income or no documentation loan these days. But experts report that lenders are starting to loosen up again, after these self-employed home loans mostly disappearing after the 2009 meltdown. The most important thing you can do to qualify for a stated income second-mortgage or equity loan is to try to have as stable income as possible in the two years before you apply for the loan. Also, make certain that your bank statements closely track what is on your P&L statement. If you do these things, you should be in a better position find self-employed loan solutions and you’ll be on your way to qualify for a no income verification loan or stated income HELOC in the very near future. There is good news for self-employed home buyers looking for no income loans this year as many competitive mortgage lenders have expanded their lending programs. How Can I Qualify for a Mortgage Loan with Not Much Income Documentation as a Self Employed First Time Home Buyer? For the 14 million or so self-employed across the country, getting a mortgage might seem more difficult. But in 2018, it is not hard to get a mortgage if you work for yourself, as long as you have enough documentation of your income. Below is more information to make you a self-employed home owner. In the past three years, the rules for self-employed home loans have gotten less restrictive. Some self-employed only need to have a year of income tax documents to prove their income, if your mortgage application can get automated underwriting. If your application needs manual underwriting, you may need to have two years of tax returns. Generally, the updated guidelines for self-employed mortgage loan programs are friendlier to people with a side job. This means that if you have enough income to qualify from your main, salaried job, you do not need to document income from your side job. Yes no income loans have changed but many self-employed home buyers are excited to finally qualify for an affordable home loan with less documentation required than in previous years. When you apply for a home loan as a self-employed borrower, you will need to show your income, savings, retirement and investment balances, as well as your debts. Lenders will want to know how long you have been working for yourself and in what industry. 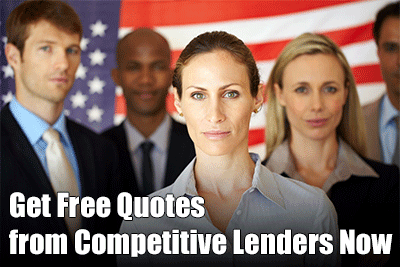 Many lenders want to see that you have been working in the same field for a few years. If you have only one year of experience in a self-employed field, you can expect more questions about your work and income during underwriting. Once you have provided all your income and other documentation with the application, the automated underwriting system the lender uses will give a response. You may be either approved, declined or referred to manual underwriting. If you have sufficient proof of your self-employed income, you may be approved through automated underwriting. If you must go through manual underwriting by a human being, you still can be approved; it will just take longer to get the green light. What will cause difficulty for some self-employed is that their application will say they make $6,000 per month, but their taxable income only shows $3500 per month. Underwriters will use various formulas to determine what a qualifying income is for a self-employed borrower. They will begin with the taxable income on your tax return and add on various deductions. Some borrowers may find that their income for the purposes of getting a home loan is lower than they thought. The lender will also look at your savings and other assets and will want to be sure your down payment is coming from you or another acceptable source. They do not want to see that you take all of your down payment from your business savings account because this could damage your ability to earn a living. They also want to check that you do not have loans that you have not disclosed. For instance, if your bank account shows you made a large deposit last month, the underwriter may want to know where that money came from. As will regular salaried borrowers, you will need to have a decent credit score to be approved. But you do not need to have a higher score as a self-employed borrower. For an FHA loan, you probably can be approved with a score in the low 600s, and mid 600s for a conventional loan. You will need to show a steady recent payment history on your credit report. Some lenders may want to see 24 months of full time work history as a self-employed worker to be approved. Others, such as Fannie Mae backed lenders, may say that 12 months of self-employment income is sufficient if you have earlier full-time work experience in that field. You will need to have an acceptable debt to income ratio just as with regular borrowers. For most loans, a DTI of 43% is the maximum, but in some cases, you might be approved with 50% DTI. Another trouble spot for some self-employed is having irregular income. If you have income that is unstable, you may have more questions from the mortgage lender. But it is understood that some businesses have busier times of the year than others. If your income has gone through ups and downs, you may need to show several years of tax returns that illustrate your income has a history of ups and downs. It is very possible to get a mortgage with self-employment income in 2018. Just be prepared to show one or two years of tax returns and other documentation of your income, and you may well become a home owner this year!